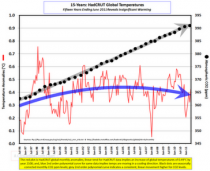 Roy Spencer announced why the November global Lower troposphere temperature is late this month. Also, John Christy and I have been on separate travels quite a bit lately (I spent 2 weeks in Miami after my daughter had an emergency C-section - I’m a grandpa!) and now I’m at the AGU in San Francisco, with a trip to DC early next week, so monitoring of the situation has been difficult. RSS did update their November data. 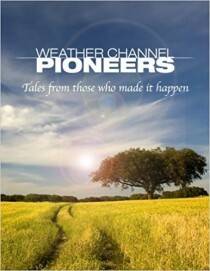 It is down to 0.033C. You can explain virtually all the excursions with El Nino, La Nina and volcanism (here indicated by the satellite derived aerosol optical thickness). 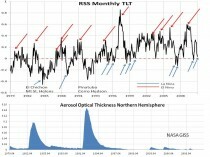 High aerosol content as we saw in early 1980s and 1990s leads to global cooling and low aerosols (late 1990s through mid 2000s) warming through more insolation. Now with a positive AO/NAO and an active north Atlantic storm track and more upwelling, the AMO has taken a dive. For November it is the lowest temperature since 1995. 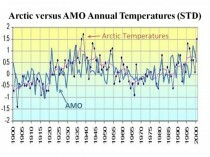 Above is how the AMO tracks with US temperatures since 1900. The Pearson coefficient R = 0.458 for the AMO alone, the highest of any single factor. 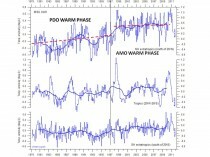 The arctic temperatures corrrelate very well with the AMO. Warm Atlantic temperatures move into the arctic and thin the ice from the bottom. It IS NOT CO2. This happened before as can be seen clearly here, related to AMO. 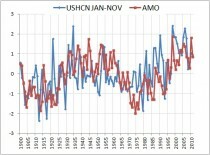 Anecdotal data suggests a similar warming and ice thinning in the 1800s warm AMO period. 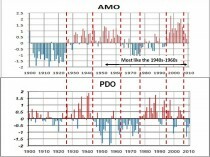 In general you can explain global temperature changes with the PDO (warming from 1977 to 1998) and AMO (warm after 1995) and volcanism. Note little change in tropics and Southern Hemisphere which suggests warming is not global. While temperatures flatlined or fell, CO2 rose the last 15 years.